More photos available on www.thatonemoment.co.uk. The 54th Tom Scott Memorial Road Races celebrated another successful edition on Sunday with athletes from Dumfries to the Highlands travelling to compete in the historic 10 Mile race and Round the Loch 6k. With pre-entry records set again this year it came as no surprise that a new high of 300 athletes completed the 10 Mile course with a record 87 also competing in the Round the Loch 6k. 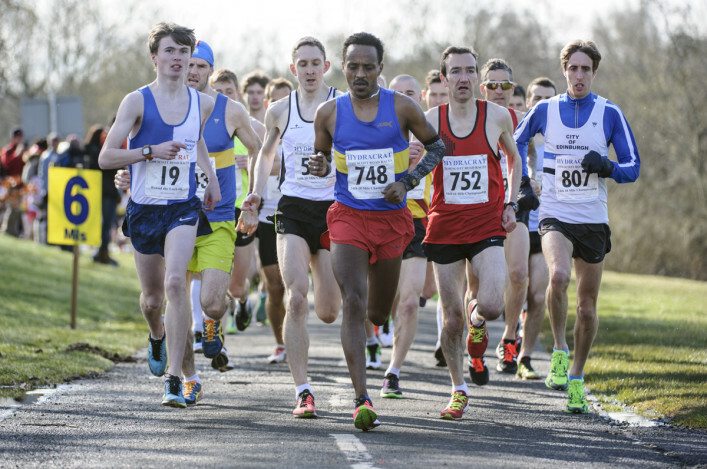 The 10 Mile race is host to the Scottish 10 Mile and West District 10 Mile Championships, meaning individual and team medals were on offer to the top finishers in both the Men’s and Women’s categories. This year the 10 Mile race saw 2012 champion Tewolde Mengisteab and Fionnuala Ross – both of Shettleston Harriers – champions. In becoming champion Ross also set a new women’s course record of 55:50 minutes, some 30 seconds faster than the previous time. Mengisteab – completing the course in 50:49 minutes – lifted the historic Tom Scott Memorial Trophy after a close battle with Neil Renault of Edinburgh AC, who finished just 5 seconds adrift. In third place was Dougie Selman of Corstorphine AAC in a time of 51:10 minutes, ensuring the Edinburgh club were represented in the top 3 for the second successive year. Mengisteab now boasts an impressive record of finishing in the top three in 7 of the last 8 occasions at the 10 Mile race. The Granville Trophy was presented to Fionnuala Ross after a terrific run in which she crossed the line just under 3 minutes before the second placed woman, Jenny Bannerman of Inverness Harriers. 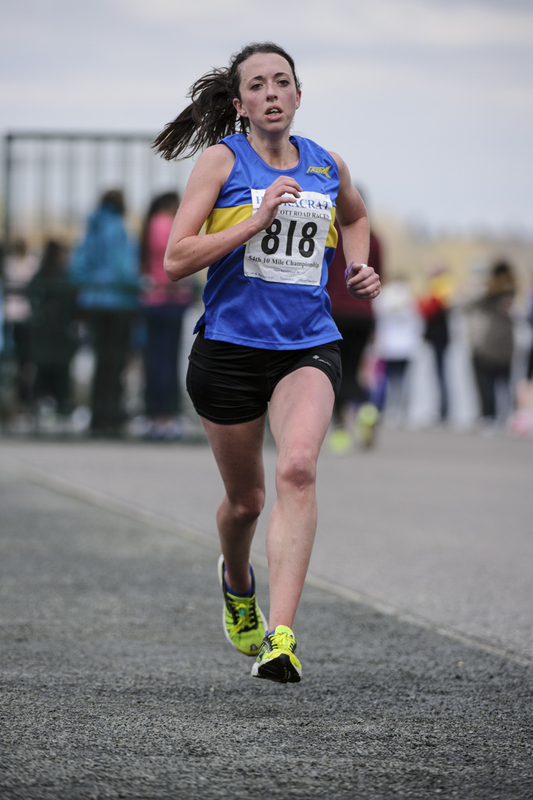 Bannerman – completing the course in 58:42 minutes – was a further 89 seconds ahead of Sheena Logan of Fife AC, who crossed the line in 60:11 minutes. Titles are also awarded to the 1st teams in the 10 Mile race, with teams being crowned as Scottish and West District Team 10 Mile champions as well as champions of the Tom Scott 10 Mile team awards. The Motherwell YMCA Trophy for the 1st male team and Anna Poulton Ladies Trophy for 1st female team both went to Shettleston Harriers, rounding off a successful day for the Glasgow club. 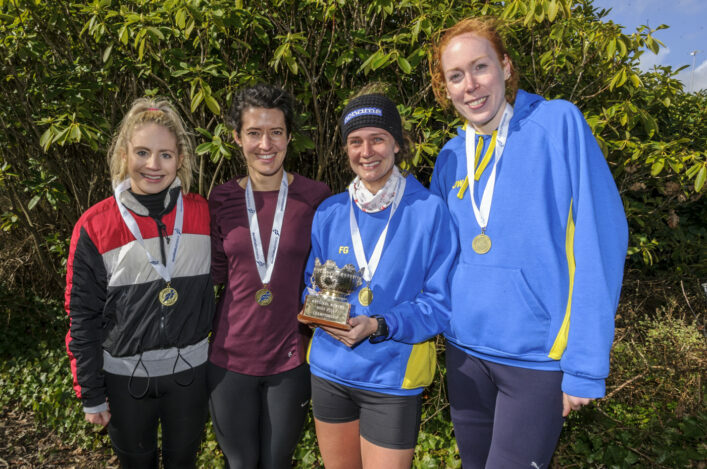 The men’s winning team consisted of Tewolde Mengisteab, Paul Sorrie (14th) and Kevin Brydon (16th), whilst the winners of the female team prize were Fionnuala Ross, Jessica Oliver-Bell (4th female) and Avril Mason (8th female). 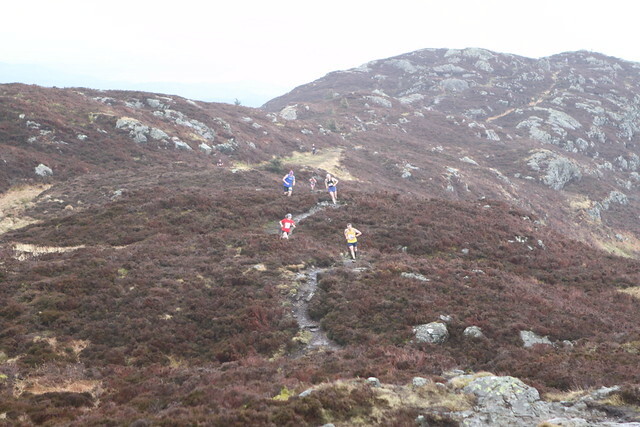 The 11th Round the Loch 6k was by far the most successful so far with a record of 87 competitors demonstrating that the race is becoming an increasingly popular fixture alongside the 10 Mile race. Winners this year were Jozsef Farkas and Claire Thompson having tasted previous success around the shore of Strathclyde Park loch. Farkas, who defended his title from 2015 and collected the Robin Barbour Trophy, bettered his winning time by 7 seconds this year to finish in 19:06 mins in another dominant display. 2nd place went to Under 20 athletes James Donald of Dundee Hawkhill Harriers in 19:59 mins, with John Sharp of Inverclyde AC in 3rd in a time of 21:00 minutes. Thompson, representing Victoria Park City of Glasgow, won the 6k race for an impressive 5th time, this year in a time of 22:51 minutes. Lisa Doyle – runner up to Thompson some eight years ago in the same race – came home in 2nd place once more in 24:22 minutes with local athlete Joyce Allardice of Clyderunners in 3rd with a gap of exactly two minutes to 2nd place. As host club Law & District enjoy a strong presence at the event and the club tasted junior and team success with a range of prizes awarded to members of the club. The men’s prizes were awarded to Ross Hill (5th), James Gillon (8th) and Adam Kelly (9th) whilst the women’s prizes went to Rachel Donnelly (6th female), Elle Henderson (8th female) and Caitlin Thomson (9th female). The Tom Scott Memorial Road Races would like to pay thanks to all the competitors, volunteers, spectators and officials who attended the event and helped to make it such a special and enjoyable day, along with sponsor Hydracrat, and CoOp Funeralcare and Tunnocks for finish line provisions. Thanks also to chip timers StuWeb, Strathclyde Police, St Andrews First Aid and Strathclyde Park staff.